Pets like humans need plenty of pure fresh water in their bodies. Water is crucial for flushing out toxins and waste, regulating body temperature, transporting nutrients through the bloodstream and cushioning the brain and spinal cord. But how do we really know if our pets are getting enough water? One way is to lift some skin at the back of their neck, then release it. If your pet is well-hydrated, its skin will fall back quickly. But, if your pet is dehydrated, its skin will fall slower or stay in a tent formation. Signs of dehydration include fatigue, constipation, loss of appetite, sunken or dry eyes, dry nose, and dry gums. Getting your pets to drink enough water is another issue. Dogs, for the most part, love to drink water whereas cats not so much. I have four cats and they all have their favorite places to drink water. I do have a water bowl set out for them all day, but only one of my cats really drinks from it. The others prefer a dripping tap or the sprinkler outside. There are several things we can do to get more water in our pets. Feeding your pets a fresh, high-quality, moisture-rich species appropriate diet – this could include quality canned food, is necessary. And of course, always make sure you have a fresh bowl of pure water put out every day for your pets. Another thing you can do is get a pet water fountain. Pets are attracted to the trickling sound of water and will naturally drink more water. I found an attractive ceramic fountain that my pets like, the Drinkwell Pagoda Pet Fountain. I like the Pagoda Fountain because it’s made of ceramic and not plastic, so there is no chance of toxins seeping into the water and it’s more hygienic. This fountain has charcoal filters that clean your pet’s water continuously as it recirculates, keeping it a lot cleaner and fresher than a typical water bowl. I love the two-tiered levels, it offers two drinking dishes for both smaller and larger pets. It that hold 2 litres of fresh, filtered water and its open design makes it easy for pets to approach. 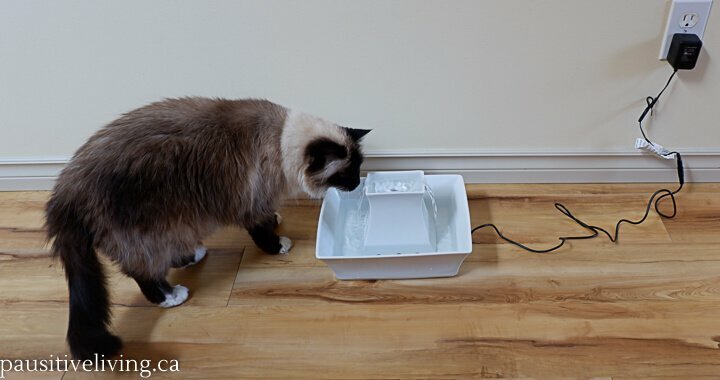 This free-falling stream system adds oxygen for freshness and encourages your pets to drink more. As for cleaning, it’s fairly easy but there are a few drawbacks. The cord cannot be removed from the lower ceramic bowl and there is a filter in the center, so you cannot immerse it in water. You have to clean it with a soapy cloth and then rinse it very well. Having the Pagoda Pet Fountain running all day has encouraged my cats to drink a lot more water. The only negative I can think of is that you cannot adjust the stream of water. It only has one speed and I think at the onset a pet would be more attracted to a slower stream. I like that it comes in four different colors that will blend in with any decor. 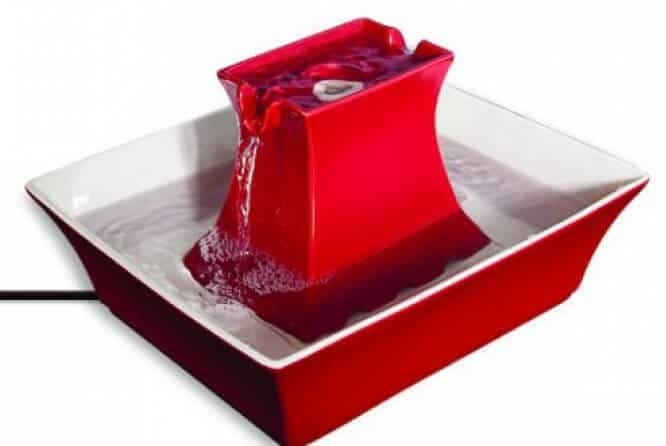 I keep the Pagoda Pet Fountain in the kitchen so I chose the white color, but red would have worked well for me too. It retails for around $130 and it perfect for both cats and dogs. the simply clean litter system would make my life so much easier! I would love to try the ScoopFree® Original Self-Cleaning Litter Box. I would love to have the ScoopFree Original Self-Cleaning Litter Box. With 3 cats, it would definitely be helpful. My cat who recently had an amputation needs a pet step to get up on the bed. The anti-tracking mat would be awesome to have. The automatic ball launcher would be awesome for my dog. I just love the ScoopFree® Ultra Self-Cleaning Litter Box. With our 3 indoor cats it would be perfect! I would like to have the Six Meal Feeder. I would love to have a Healthy Pet Simply Feed Programmable Digital Pet Feeder! Looks pretty awesome! I want one of theses! Pretty and functional – good combo in pet stuff. I’d also love to have the FroliCat® BOLT™. My kitty would love it! I would need a ScoopFree anti-tracking carpet for our 2 four-legged family member. I love the fountain but would also love to get a pet door for the 5 cats! Darn, I got all excited and then see that it’s only for Canada. The FroliCat® POUNCE™ Rotating Cat Teaser looks good. I’d love to have the FroliCat® Multi-Laser Toy. My kitties would love the FroliCat® POUNCE™ Rotating Cat Teaser. The ScoopFree® Ultra Self-Cleaning Litter Box sounds amazing. I would like one of the wireless dog fences. Ooh, I think I might get one of their automatic cat teasers or scoopfree litter boxes! Would love to have one of the self-cleaning litter boxes! I would love to have an automatic ball launcher! The ScoopFree® Ultra Self-Cleaning Litter Box would be handy for my busy lifestyle. As the saying goes: I’d give my eye teeth” for the ScoopFree Ultra Self-Cleaning Litter Box. Living with arthritis this would help immensely. The Frolicat Cheese would keep my cat busy! Would love a PetSafe small dog/big cat door. I like the Busy Budd Ultra Woofer Toy. It looks like fun. Would love the Stubborn Dog In Ground Fence System; I think it would make a perfect gift for my friend who has a very stubborn animal. 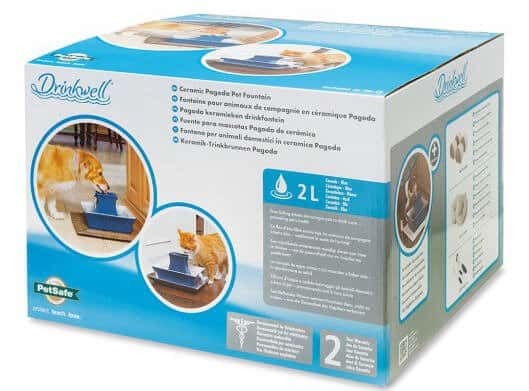 I have always wanted one of these ScoopFree® Ultra Self-Cleaning Litter Boxes. a ramp for easy access to the van. I love the Passport Intelligent Cat Flap. Our cats love running water! I would love to have the Extreme Weather Pet Door Our dog loves to go in and out all day long so it would be very handy. I would love an In Ground Fence system for my dog! She is pretty good but she tends to wander if she’s not on her leash. If she is on her leash, she gets all tangled up! My baby boy needs the FroliCat! Are charcoal filters really safe for pets? I’ve heard of the negative effects charcoal can be on humans so why would it be safe for pets? I would like to have the Healthy Pet Simply Feed that would help with weight manangement. I like the Funkitty™ Egg-Cersizer™ Cat Toy. So many cool products I’d love to try. I would like to try the slim cat feeding dispensing cat. I really like their 4-Way Locking Big Cat Door. I would love the Passport™ Intelligent Cat Flap PPA19-20558….would make life sooo much easier!! my 5 pets would love this, the cats love to drink from a fountain and the dogs would think its fun! The Automatic Ball Launcher (PTY00-14665) looks like it would keep a pet busy for hours. I would love to purchase the scoop free automatic litter box! I have 2 cats and one is 15yrs with his diet changes of late his movements are even less desirable to clean up , if you get my meaning! Otherwise the automatic feeder to go with the waterer, thanks! Would love a froliCat laser toy. I would love a 2-Way locking cat flap! I would want the Passport cat flap door! My cat Forrest drives me crazy with wanting in and out of my bedroom and im one who enjoys privacy with my door closed. My two cats would love the FroliCat® BOLT™ Automatic Laser Light!! The ScoopFree Ultra Self-Cleaning Litter Box would be great to have for our 3 cats. Thanks! I like the cat door! The fuzzy Twist n Treat cat teaser looks like my cat would have a grand, wild time with it! I would love to try Busy Budd Puppy Twist ‘n Treat! I love the step up for the cat – my one fellow is getting quite elderly, but likes to get on the bed for a few minutes of cuddles before lights out. That would certainly help him. I would love to have one of the Scoop Free self cleaning litter boxes. An incredible prize, my three cats would love it! I would love to have a self-cleaning litter box for my cat. We have had her since she was right at 6 weeks old. She makes the biggest mess in her litter box. She drags boxes and plastic bags and even toys into her litter box. She scratches on the wall or door next to the litter box, but doesn’t cover anything up. I have had loads of cats over the years, but have never had one act like this one. First off, I love this pet fountain. We have one from PetSafe but it’s not this fancy, lol. Second I’d like to have the PetSafe Big Cat locking door for our garage. We have a large feral cat family living out back on our property, but I’d like to give them a warmer place to stay when the weather gets cold. I’m intrigued by self-cleaning litter boxes. I’d totally try one of those. My cats tend to track litter everywhere. I would like the Healthy Pet Food Station. 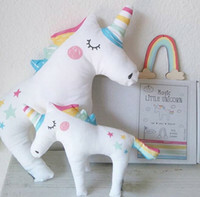 The flitter kitty toy looks like fun. Thank you for having this contest. This would be lovely for my pets as I am often out several hours a day and the pets can have access to delicious water while I’m away. I would love the Easy Walk® Bling Harness for my little terrierX Serenity-Raven-Cricket . Big name & personality, diminutive body. Bling for the princess. Spray Bark Collar looks cool! The 6 meal feeder would be ideal! Definitely the Pet Loo for my dogs!! I have to have one!! The easy walk harness looks like a great choice! I would also like to have the simply feed machine! I have a cat so I would love to try the ScoopFree® Original Self-Cleaning Litter Box. My dog & cockatiel both drink lots of water, especially when it is hot outside. No air conditioning in our apartment so when it is 38* outside and it is 38* inside as well. The ScoopFree Ultra Self-Cleaning Litter Box is another product I would love to have! I like the ScoopFree® Ultra Self-Cleaning Litter Box – would be an good investment, since I have both a cat & dog. That self-cleaning litter box…maybe Santa can deliver it!! Self cleaning litter box! Please! Bark control products! My little schnauzer loves to bark! I’d love to get the 4-Way Locking Big Cat Door. I’d like to have a Staywell Magnetic 4-way Cat Door. I would love to have the deluxe pet safety seat. My dogs would really enjoy that. The ScoopFree Ultra Self-Cleaning Litter Box would make my life so much easier!! I would love to have that! When our two kitties have an appointment for their yearly checkup, they are transported in their cat-crates. The ‘Treat Pouch’ (SKU# PTA00-13748) is a good idea to put some treats in it and offer to them while in the waiting room. They like their treats and it would help them to cope with being somewhere besides inside the home. Love the drinkwell fountains and the pet doors . My puppy would love the fountain . I would love to have the ScoopFree Ultra Self-Cleaning Litter Box. No more scooping sounds nice!!! I would love to have the FroliCat® DART DUO™ Automatic Rotating Laser Light for my two cats. I would give our son who has a cat this amazing water prize. A travel ramp would come in handy. PetSafe Pagoda Pet Fountain would be a welcome addition in my pet filled house. I’d like to bring home the Busy Buddy Ultra Woofer Toy. I would also love to have the FroliCat Pounce Rotating Cat Teaser. It would be perfect to keep my kitties in shape, while I’m away. The 2-meal pet feeder would be amazing for when we are away for the weekend from the kitties. I like the Decorative Pet Step.